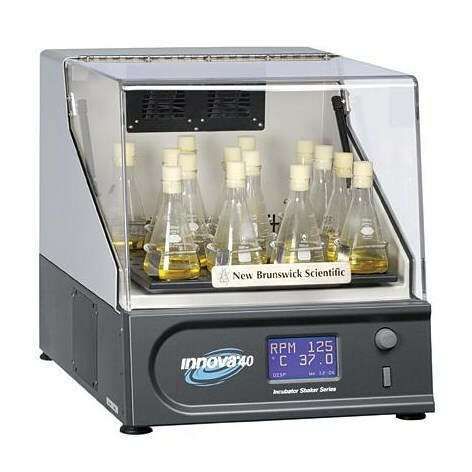 For shaking in ambient conditions: on the bench, in an incubator or in a warm or cold room, the Innova Platform Shakers are the instrument of choice. Dependable operation is due in large part to the New Brunswick triple-eccentric counterbalanced drive. Other shaker manufacturers may offer triple-eccentric drives in their shakers. But only New Brunswick offers a broad-based cast-iron support mechanism—the most stable in the industry—properly sized to each shaker and specifically designed to support high-speed applications and heavy workloads. 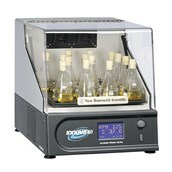 Innova model 40 incubator shakers provide very broad temperature ­capabilities for culturing a wide variety of organisms in flasks up to 3 liters. Refrigeration module is built into the Innova model 40R, or can be easily added to model 40, at any time. Shakers are sold separately from platforms and accessories to provide the flex­i­bil­i­ty to select the platform(s) best suited to your application. There are no threads in EPPENDORF Innova 40/40R incub. shaker Reviews at this time.